Food supplement. The only fat burner on the market that burns fat whilst you sleep. 1) GARCINIA CAMBOGIA EXTRACT with 60% HCA (hydroxycytric acid) prevents fat accumulation in the body, suppresses hunger and the urge for evening snacks. 2) BLACK ELDERBERRY EXTRACT prevents fat accumulation with its high content of special phytonutrients anthocyanin and vitamin C. Stabilises blood sugar levels and prevents hunger pangs. 3) CHOLINE is interconnected with vitamins of B-complex that are a necessary element in getting energy from the food we eat. It is indispensable for healthy liver function – the liver has a key role in fat digestion. 4) PATENTED SOLUBLE FIBRE ORAFTI® HSI AND NUTRIOSE® FM 06 stimulates digestion and toxin elimination. 5) CALCIUM ensures digestive enzyme function. 6) MAGNESIUM relaxes the muscles and consequently the whole body. 7) CAMOMILE EXTRACT improves sleep quality. 8) VITAMIN B6 Increases fat burning. "I was no longer hungry when watching the telly at night"
NightBurn XXL helped her beat the hidden enemy that only comes out when we least expect it - evening hunger. "At the beginning, I was worried I'd be hungry, especially in the evening. Whilst watching TV in the evening, I usually became hungry quite fast. 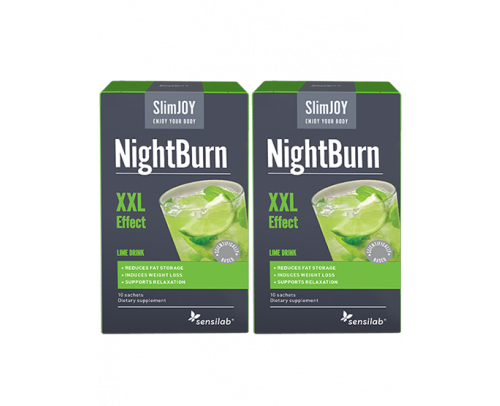 But with NightBurn XXL, the complete opposite happened - I felt no hunger in the evening at all!" says Tammy. 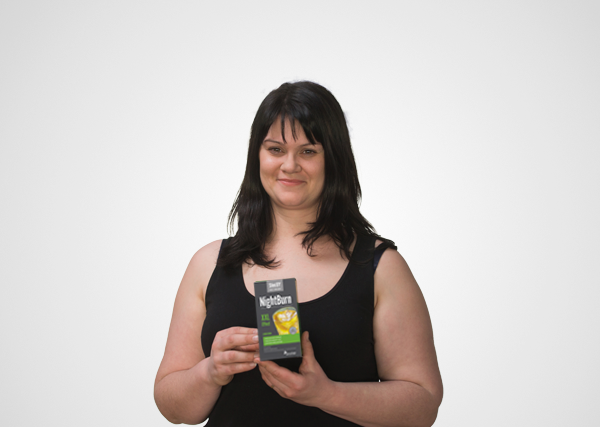 While low levels of energy are a common complaint of those trying to lose weight, people who choose SlimJOY have a completely different experience. "I've never felt better, I was feeling so light. I also felt more energetic, the opposite of how I used to feel. 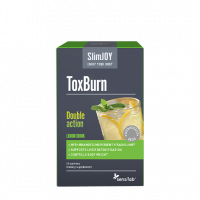 During the day her energy levels were raised and fat was burned by BootBurn Active XXL. During the night, she was soothed and calmed by NightBurn - the only night-time fat burner on the market . Nelly loved another effect it has: No more evening hunger atacks! 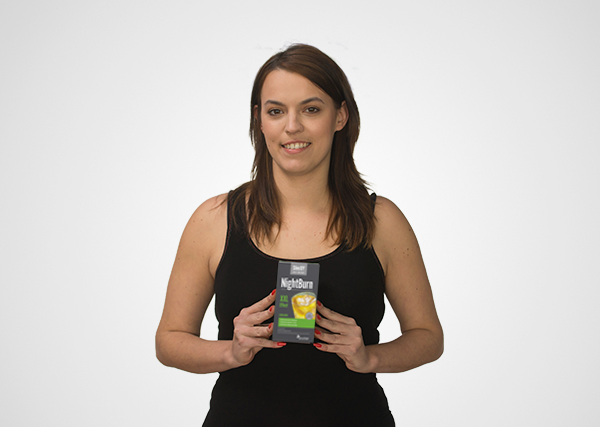 HOW TO USE: The recommended daily intake is 1 sachet dissolved in a glass of water before sleep. STORAGE:: Keep out of the reach of children! Store in a dark, dry place at temperatures below 25°C.